Shot on 16 mm, transferred to digital. Lauri Timonen (Midnight Sun Film Festival Catalogue, 2014): "A Third Face. My Tale of Writing, Fighting and Filmmaking (2002) is undoubtedly one of the greatest Hollywood memoirs ever written – in more than one sense of the word. 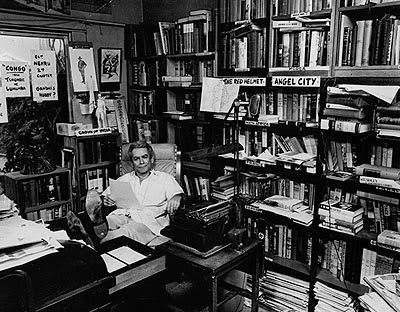 The autobiography of the maverick director Samuel Fuller (1912–1997) is extensive enough to cover three different eras from Fuller’s early journalistic career to his later experiences in war. The stories are throughout mind-blowing, captivating and skillfully narrated." "Of course we also remember the initial energy that Fuller presented for the lucky audience 29 years ago as the star guest of the first ever Midnight Sun Film Festival, in a way even outlining the spirit of the whole festival. This year we welcome his daughter Samantha Fuller with her brand new documentary A Fuller Life, based on her father’s autobiography, where Sam’s friends and fans – including the actors Mark Hamill, Robert Carradine, Constance Towers and Tim Roth as well as the directors Joe Dante, Wim Wenders, William Friedkin and Monte Hellman – read excerpts and stories from the book." Samantha Fuller has filmed the autobiography of her father, Samuel Fuller, by having key people as narrators read illuminating passages from it. Constance Towers is my favourite. Monte Hellman and William Friedkin, among others, catch the Fuller spirit very well. Fuller's autobiography, A Third Face, belongs, indeed, to the best memoirs of Hollywood film-makers, and it is not only about Hollywood, but also about American journalism and about the Second World War. I have read the book, so the text was familiar to me, but I was very grateful for the affectionate choice of narrators, the rich selection of photographs and other images, and the clips from almost all of Samuel Fuller's films, as a rule with good visual quality. As a journalist, Fuller had explored America from coast to coast during the 1920s and the 1930s, and during WWII ("the biggest crime story of the century") he did the long tour in the Big Red One, participating in key battles of the century, most importantly on D-Day. Fuller's own 16 mm WWII footage is the most stunning discovery of the film. I had seen some of it in previous Fuller docs such as Tell Me Sam and Falkenau. This find is so impressive that I look forward for more.